Want to try your hand at golf but don’t know where to begin? It can be daunting to lay eager hands upon an array of different sized clubs and not know what to choose. Then, you may hear terms such as “birdies” and “bogeys” that will make you think of feathered creatures and yucky things found in noses...but when it pertains to golf, you just can’t speak the lingo. Don’t fret! Learning how to play this beloved sport takes patience and practice, but to be out on a rolling, green field with friends under a blue sky is a feeling that can’t be beat. Here are some helpful tips to get started! Don’t get overwhelmed by what to choose and how much to spend! When you’re a beginner, seek out clubs that will help you develop your skills at a minimal cost. As time goes by and your game improves, then invest in the proper clubs. Put your focus on learning with what you have available to you first, whether they are used or borrowed. You can also visit a larger golf store to do research and ask questions. Golfers can carry as many as 14 clubs in a bag, but as a beginner, don’t worry too much about this yet. 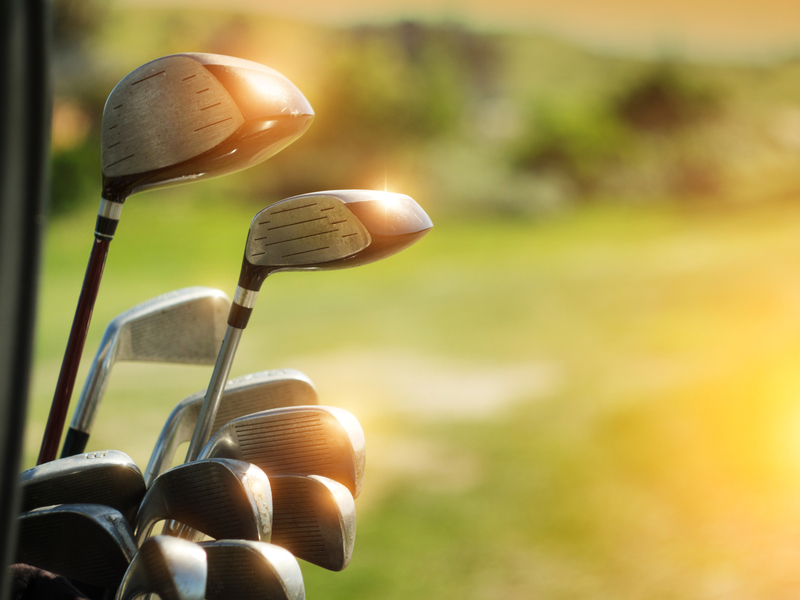 Clubs to consider: A driver, a putter, a sand wedge, a 6-iron, an 8-iron, a pitching wedge, a fairway wood. Starting out, you want to consider how many balls you lose in a round when deciding how many to buy. If you lose two sleeves or more, then spending around $20 a dozen may be a good investment until you feel it out. If you’re wondering about a particular brand to go with, try putting a few different kinds to see how they feel. You’ve got your clubs and balls, and now you’re ready to jump into the thick of it. Hold on there amigo, let’s put the club down! Do you know why you want to play golf? Is it for social reasons or do you want to be a serious player? Take some time for mental preparation so you can realize your goals, along with the time and money you want to invest. There are plenty of resources to help develop your skills, whether you want to play with friends and get pointers from them as you go or you want to hire a professional instructor to give you lessons.